- Look at rear foot and mid foot mechanics. Sports Med. 2012 Nov 1;42(11):941-67. doi: 10.2165/11635410-000000000-00000. Rowe V1, Hemmings S, Barton C, Malliaras P, Maffulli N, Morrissey D.
- Evidence was strong for eccentric loading exercises and extracorporeal shockwave therapy; moderate for splinting/bracing, active rest, low-level laser therapy and concentric exercises (i.e. inferior to eccentric exercise). In-shoe foot orthoses and therapeutic ultrasound had limited evidence. J Orthop Sports Phys Ther. 2015 Nov;45(11):876-86. doi: 10.2519/jospt.2015.5885. Epub 2015 Sep 21. A Proposed Return-to-Sport Program for Patients With Midportion Achilles Tendinopathy: Rationale and Implementation. Eccentric protocol: 15x3, knee straight and 15x 3 knee bent; 2x a day, 7 days, no more than 5/10 during and after next day, slowly add load. Clin J Sport Med. 2009 Jan;19(1):54-64. doi: 10.1097/JSM.0b013e31818ef090. Nonoperative treatment of midportion Achilles tendinopathy: a systematic review. Magnussen RA1, Dunn WR, Thomson AB. Eccentric exercises have the most evidence of effectiveness in treatment of midportion Achilles tendinopathy. Sports Med. 2013 Apr;43(4):267-86. doi: 10.1007/s40279-013-0019-z. Malliaras P1, Barton CJ, Reeves ND, Langberg H.
J Orthop Sports Phys Ther. 2016 Aug;46(8):664-72. doi: 10.2519/jospt.2016.6494. Epub 2016 May 12. Willy RW, Halsey L, Hayek A, Johnson H, Willson JD. Injury. 2016 Nov;47(11):2565-2569. doi: 10.1016/j.injury.2016.09.016. Epub 2016 Sep 9. Factors associated with pain intensity and physical limitations after lateral ankle sprains. Briet JP1, Houwert RM2, Hageman MG3, Hietbrink F4, Ring DC5, Verleisdonk EJ6. Swelling, tenderness, and ecchymosis don't correlate with time to functional recovery in patients with a lateral ankle sprain. It is established that psychosocial factors such as symptoms of depression and low pain self-efficacy correlate with pain intensity and magnitude of limitations in patients with musculoskeletal disorders. We studied the correlation between pain self-efficacy or symptoms of depression and (1) ankle specific limitations and (2) pain intensity in patients with a lateral ankle sprain. Further we explored the correlation between estimation of sprain severity (grade) and (3) pain intensity or magnitude of ankle specific limitations. Eighty-four patients with a lateral ankle sprain prospectively completed the Pain Self Efficacy Questionnaire, the Olerud Molander Ankle Score, Ordinal scale of Pain and the Patient Health Questionnaire-2 at enrollment and the Olerud Molander Ankle Score and the Ordinal scale of Pain three weeks after the injury. Factors associated with higher ankle specific limitations and symptoms were investigated in bivariable and multivariable analysis. When accounting for confounding factors, greater self-efficacy (p=0.01) and older age (p<0.01) were significantly associated with greater ankle specific symptoms and limitations three weeks after the injury and explained 22% of the variability in ankle specific limitations and symptoms. There was no correlation between the grade of the sprain and pain intensity or ankle specific limitations or symptoms. Psychosocial factors (adaptiveness in response to pain in particular) explain more of the variation in symptoms and limitations after ankle sprain than the degree of pathophysiology. The influence of adaptive illness descriptions and recovery strategies based on methods for improving self-efficacy (i.e. cognitive behavioral therapy) might enhance and speed recovery from ankle injuries and merit additional investigation. - Grade of sprain did not correlate with ankle specific symptoms and limitations or pain intensity 3 weeks post injury. Br J Sports Med. 2013 Jul;47(10):620-8. doi: 10.1136/bjsports-2012-091702. Epub 2012 Dec 6. Sman AD1, Hiller CE, Refshauge KM. To determine the value of clinical tests for accurate diagnosis of ankle syndesmosis injury. An electronic database search was conducted (to 6 August 2012) of databases such as: MEDLINE, CINAHL, EMBASE, PubMed and Cochrane Databases. References from identified articles were examined and seven authors of eligible studies were contacted for additional information. Studies of any design, without language restriction, were included; however, systematic reviews were excluded. Eligible studies included participants with a suspected ankle syndesmosis injury but without fracture. Reliability studies compared one or more clinical tests and studies of test accuracy compared the clinical test with a reference standard. The database search resulted in 114 full text articles which were assessed for eligibility. Three studies were included in the review and raw data of these studies were retrieved after contacting the authors. Eight clinical diagnostic tests were investigated; palpation of the tibiofibular ligaments, external rotation stress test, squeeze, Cotton, fibula translation, dorsiflexion range of motion (ROM) and anterior drawer tests. Two studies investigated diagnostic accuracy and both investigated the squeeze test by with conflicting results. Likelihood ratios (LR) ranging from LR+1.50 to LR-1.50 were found for other tests. High intra-rater reliability was found for the squeeze, Cotton, dorsiflexion ROM and external rotation tests (83-100% close agreement). Inter-rater reliability was good for the external rotation test (ICC2,1>0.70). Fair-to-poor reliability was found for other tests. This is the first systematic review to investigate the reliability and accuracy of clinical tests for the diagnosis of ankle syndesmosis injury. Few studies were identified and our findings show that clinicians cannot rely on a single test to identify ankle syndesmosis injury with certainty. Additional diagnostic tests, such as MRI, should be considered before making a final diagnosis of syndesmosis injury. The posteromedial component of the SEBT is highly representative of the performance of all 8 components of the test in limbs with and without CAI. Br J Sports Med. 2014 Mar;48(5):365-70. doi: 10.1136/bjsports-2013-092763. Epub 2013 Aug 26. The efficacy of manual joint mobilisation/manipulation in treatment of lateral ankle sprains: a systematic review. Loudon JK1, Reiman MP, Sylvain J.
L ateral ankle sprains are common and can have detrimental consequences to the athlete. Joint mobilisation/manipulation may limit these outcomes. Systematically summarise the effectiveness of manual joint techniques in treatment of lateral ankle sprains. This review employed the Preferred Reporting Items for Systematic Reviews and Meta-Analyses guidelines. A computer-assisted literature search of MEDLINE, CINHAL, EMBASE, OVID and Physiotherapy Evidence Database (PEDro) (January 1966 to March 2013) was used with the following keywords alone and in combination 'ankle', 'sprain', 'injuries', 'lateral', 'manual therapy', and 'joint mobilisation'. The methodological quality of individual studies was assessed using the PEDro scale. After screening of titles, abstracts and full articles, eight articles were kept for examination. Three articles achieved a score of 10 of 11 total points; one achieved a score of 9; two articles scored 8; one article scored a 7 and the remaining article scored a 5. 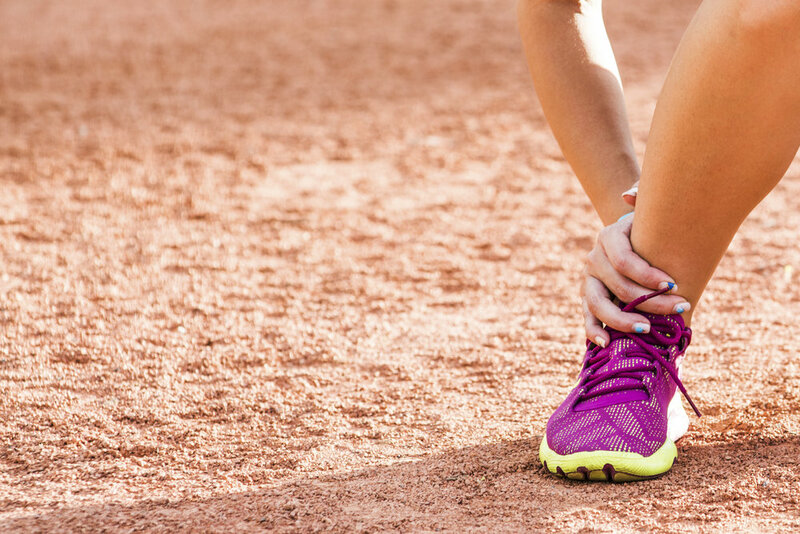 Three articles examined joint techniques for acute sprains and the remainder examined subacute/chronic ankle sprains. Outcome measures included were pain level, ankle range of motion, swelling, functional score, stabilometry and gait parameters. The majority of the articles only assessed these outcome measures immediately after treatment. No detrimental effects from the joint techniques were revealed in any of the studies reviewed. For acute ankle sprains, manual joint mobilisation diminished pain and increased dorsiflexion range of motion. For treatment of subacute/chronic lateral ankle sprains, these techniques improved ankle range-of-motion, decreased pain and improved function. How do we get patients with post ankle fracture back to function? Watch today’s episode of Mentoring Minutes with Dr. Marshall Lemoine to see how we can assess and address the two impairments related to post ankle fracture!